And afterwards, he got to introduce Babycakes to her first ever - ROLY POLY. What a strange, interesting, and cool bug!! 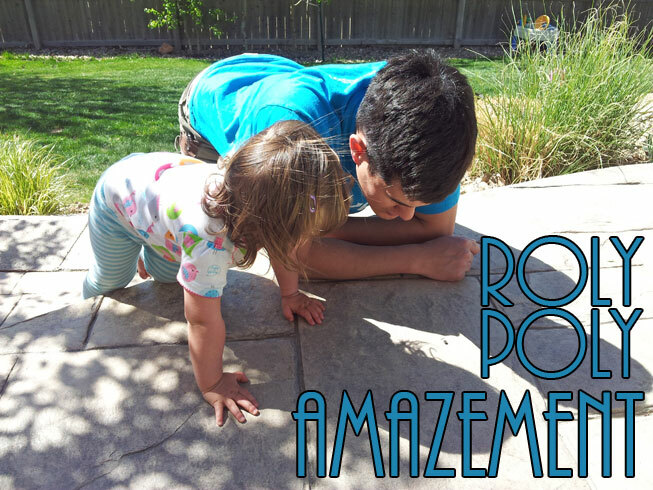 She was fascinated at how it rolled along the patio and then crawl around on its many legs. Scratch that, I just love Saturdays. But I especially love spring/summer Saturdays: Saturdays spent in the yard. One of these days I'll get my pics up of my veggie garden - that now has tomatoes, broccoli, red leaf lettuce, and strawberries planted. And in the coming days I'll get the carrots, beets, and cucumber seedlings planted outside as well. 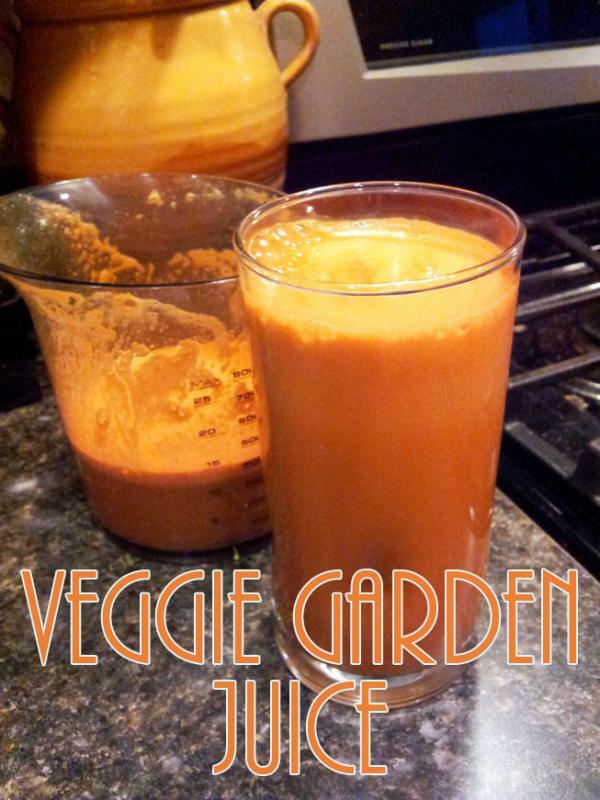 For now though, enjoy this new juice recipe for "Veggie Garden Juice." Juice & Enjoy! Yields ~32 ounces. 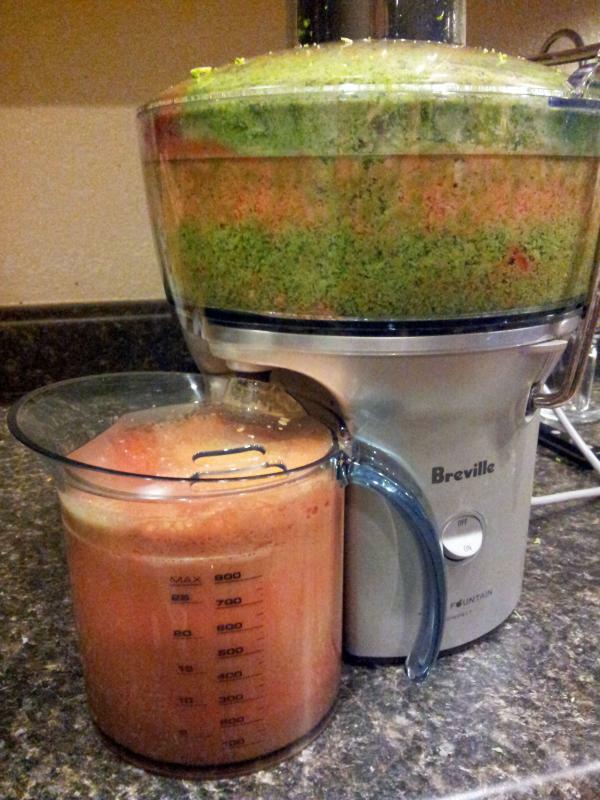 And voila, Veggie Garden Juice: veggie-hating-hubby approved!! I always make him taste the juices first and THEN I tell him what's in it. He couldn't believe he actually liked a juice made out of broccoli & bell peppers!! I was surprised too at how YUMMY it turned out! What's your favorite Saturday activity? What are you AMAZED by?